Life is a crazy thing. Always unpredictable and will always throw a curve ball at you when you least expect it. But, sometimes, when you least expect it and all the stars align, life grants you with the opportunity to do something special. 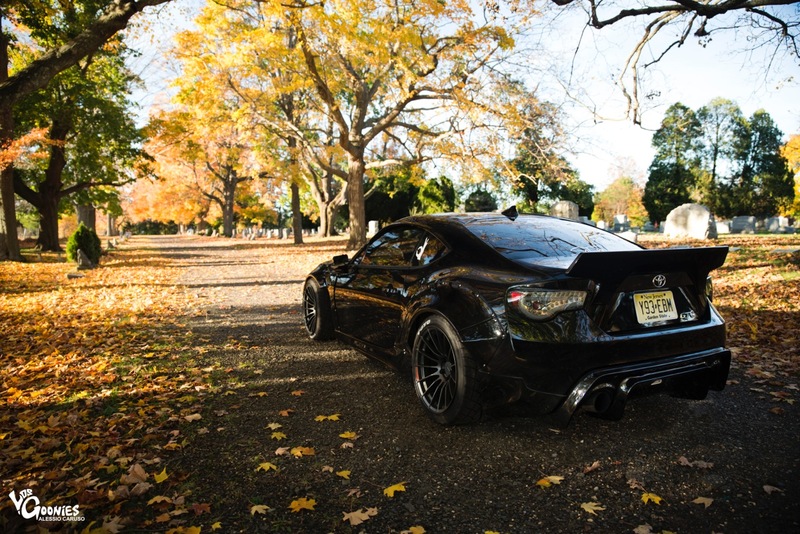 That’s pretty much the story of Greg Miele’s Turbo Rocket Bunny FRS. Being a car enthusiast is an expensive hobby. It requires a lot of hard work, personal sacrifice, and patience. 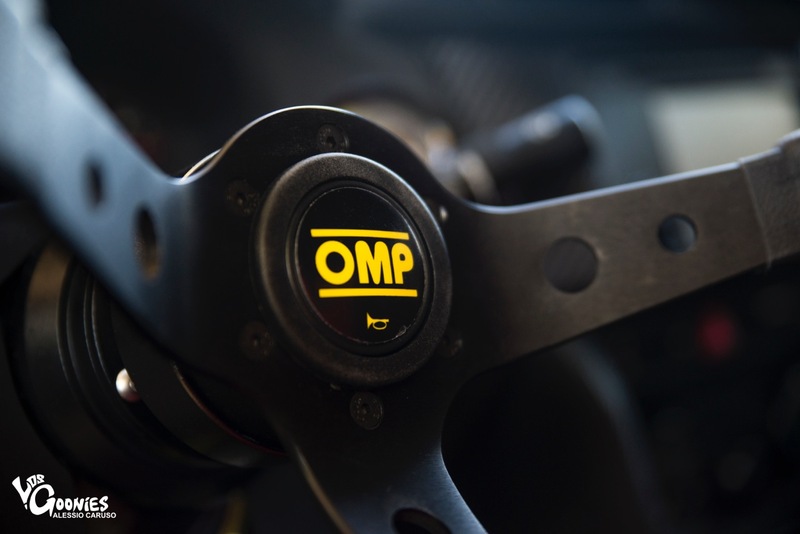 For many, the car hobby is a way of life, and we are willing to do just about anything to make some money in order to progress on our personal builds. Most builders know this is a difficult truth, and a lot of times not everything goes smoothly in the journey of building our projects. This hobby can get even more expensive if you have a true appreciation for different makes and models ranging from old to new. Sometimes though, with a whole lot of hard work, a little luck, and a opportunity though, you can build exactly what you are dreaming. That is pretty much the story behind the owner of this beautiful car you see now. Greg Miele, is one of those guys who likes a whole lot of different cars and builds. He is in my mind, a true enthusiast. His story starts with his first project car. 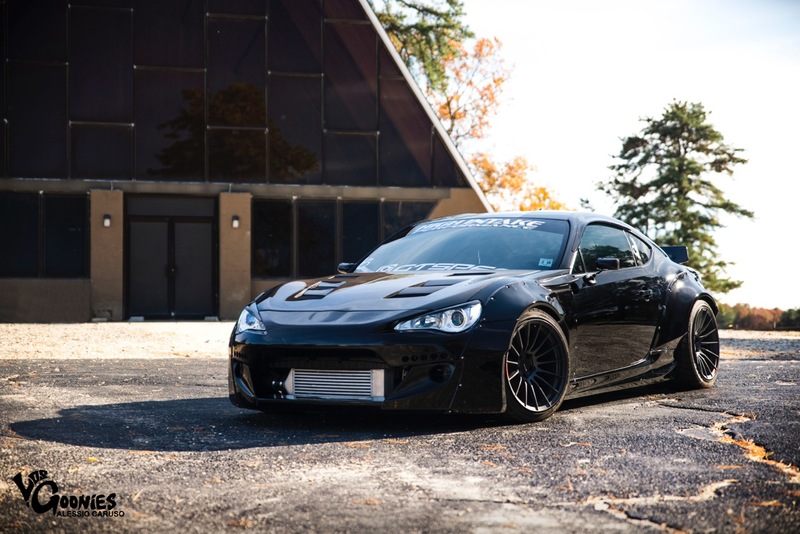 A turbo Mazda RX8, which was his first real project that is now off the road and getting built up to the next level which will be for road racing and drifting. Knowing that, he wanted to build something more street oriented….something that would look damn good tearing up the backroads, but could hardpark with the best of them at a local meet. 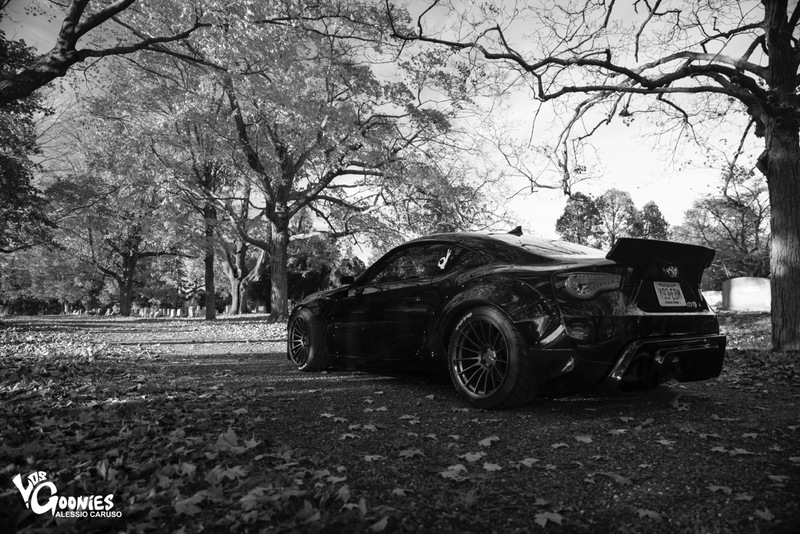 And that is where the FRS enters…. 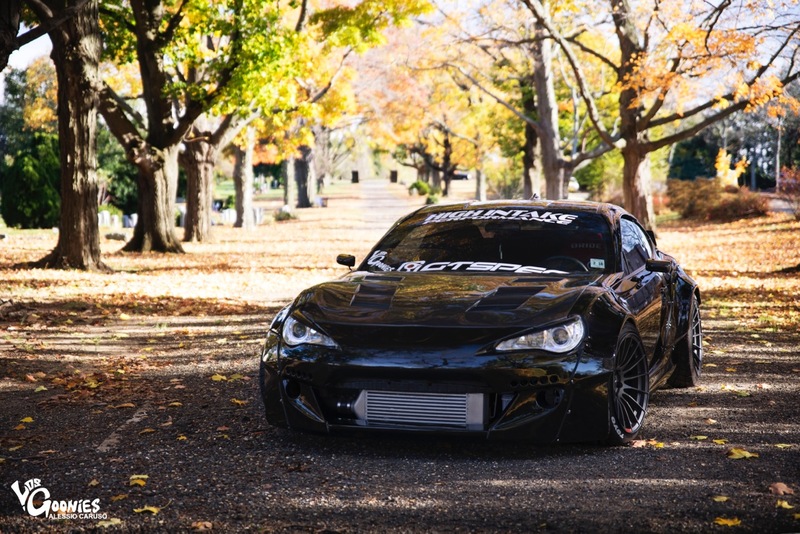 As soon as Greg saw Kei Miura of Trakyoto roll out in his Rocket Bunny Version 1 and Version 2 editions of the Toyota GT86/Scion FRS/Subaru BRZ he knew he had to have one. He had to see what the hype was all about. So with that in mind, Greg continued to put in the hardwork at his day job, which is selling cars at a car dealership. Not only that he would do installs for friends to earn some extra money so one day he could buy a FRS of his own. Greg is an extremely hard working guy, and he is very good at what he does. 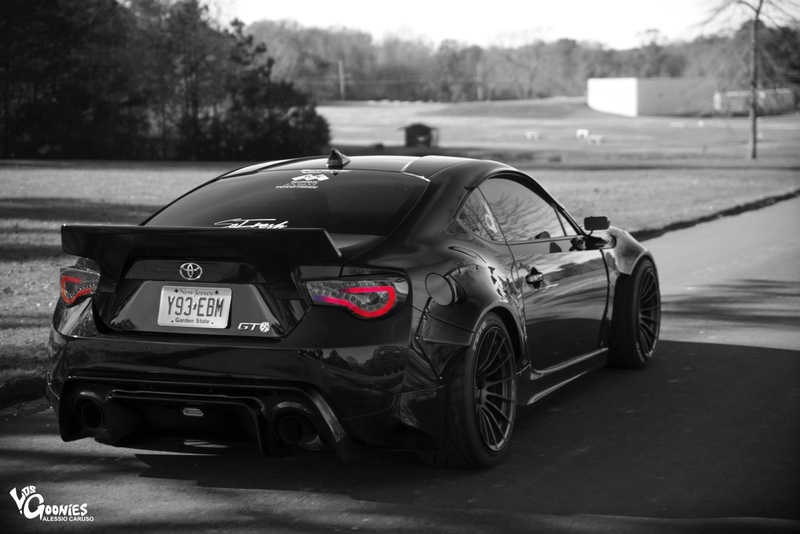 So he continued with his work ethic and one special day at work, he laid eyes on a slammed, black 13′ Scion FRS that just so happened to have a large front mount on it. He went over to it, and checked out all of the goodies on it, and he knew he had to have it. The previous owner traded it in for something else on the lot, so Greg saw an opportunity to make things happen and he went for it. A short time later, he was driving the car home, with a big smile on his face. The car came rolling on BC Coilovers, and that front mount was for a good reason. The car came with the FA20Club Stage 1 Turbo kit already installed on it! The kit features a T3/T4 Garrett turbo, ID Injectors, DW Fuel Pump, Tial wastegate, external dump, and whole bunch of other goodies. Its a pretty stout kit and the car makes about a solid 300whp, which on this light and nimble chassis is more than enough to have some real fun on street. The car pulls real hard through the rev range in every gear that gets tossed at it. Knowing that he got a really good deal on it, he got right to work and started ordering a whole gang of parts for it. 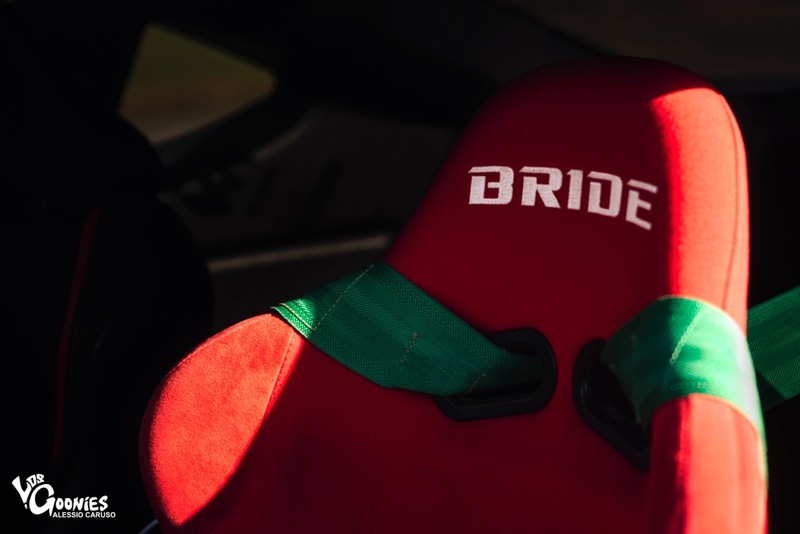 After a week of ownership, with the help of his friend and sponsors Eric Yam of High Intake Performace and famed tuning company GReddy, he ordered the Rocket Bunny V2 full widebody kit, ISC 5×100 to 5×114.3 wheel adapters, Enkei RS05RR wheels, and AUTHENTIC Bride Zeta III seats to hold him in place whenever he feels like a racecar driver (which is all the time lol). Some other great exterior bits on the car include, eyelids, APR mirrors, Greddy Evo 3 exhaust, Valenti Tails, Password JDM fender washers, and a carbon fiber vented hood to keep engine temps cool sponsored to him by the folks of VIS Racing. With all these little details, the car definitely fits the name of Rocket Bunny a lot better than a lot of the other iterations out there in the scene. So with all of these new exterior parts arriving at his door step, Greg enlisted Josh Croll of Crolls Customs to take care of the body and paint work. Not only that Greg asked Josh to put the car together in a very small time window in order to debut the build at famed Northeast event, the OC Car Show. Knowing all of those details, Josh Croll put the car together in about a month, all while working on 3 RHD conversions for other customers! Talk about putting in work! Not only did the job get done, the work was done with quality in mind. Pretty impressive for sure. Greg picked up the car excited to put on the finishing details of the car which was finishing off all the suspension goods he had in mind. Greg had his sponsors from GT Spec send their complete underbody bracing, subframe stiffeners, and strut tower bracing which was installed by himself of course. 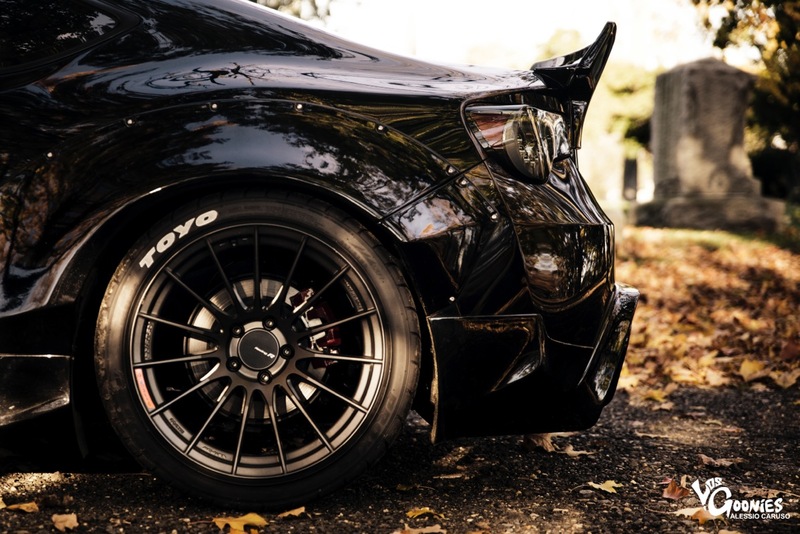 SPC camber arms also help dial in the cars aggressive ride height and extremely wide wheels. Greg installed those ISP wheel adapaters he ordered to fit those brand new 18×10.5 +15 Enkei RS505RR wrapped in meaty 255/35/18 front, 265/35/18 rear Toyo R1R Tires to handle the occasional backroad carving this thing would be doing. 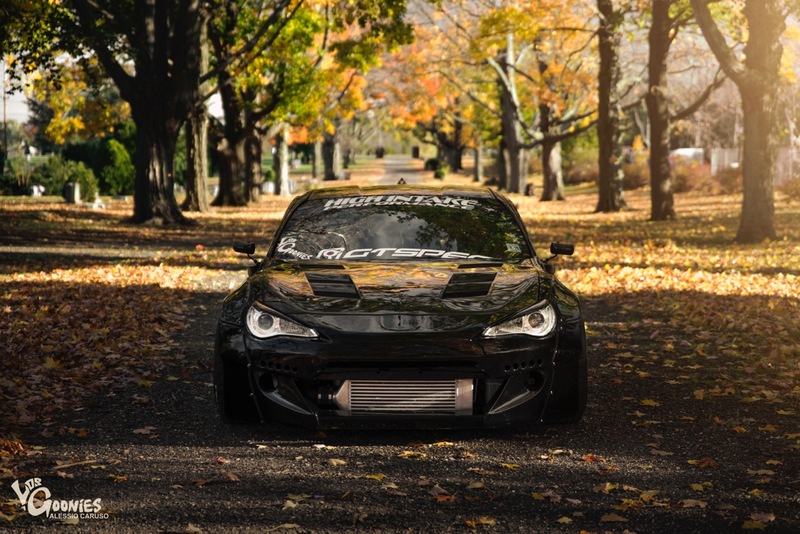 All and all, the combination of the parts really sit this car apart by giving it a real tasteful, less trendy, more aggressive look than other Rocket Bunny FRS’s that are stateside. Seeing this blacked out shark coming down the street is really something special. It definitely makes people double take on the street for sure. 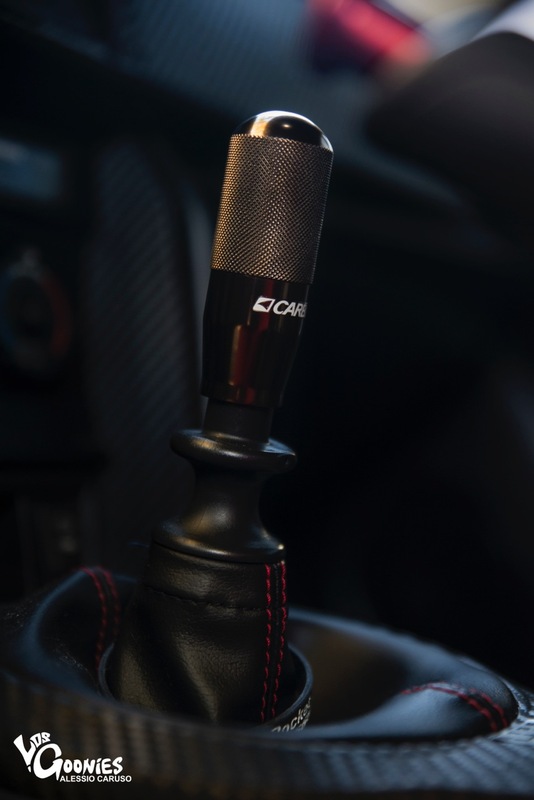 In the cockpit of this true definition of a Rocket Bunny include a NRG hub with 2.0 quick release with a OMP limited edition steering wheel, and a Carbine shift knob handle the duties of making the driver feel like they are at the wheel of racecar as well complete the cars overall look and feel. Nothing really over the top. Just straight forward, proven bits working together in unison. Keep in mind this car was put together for the better part of 2014, just in time to cruise the streets and break necks over the summer. Talk about putting in work. Of course he had some help getting the car to this point, but you have to give credit where credit is due. Sometimes when you put in hard work, you get rewarded for it big time. And that’s the real story here. Greg continues to enjoy what he put together, but of course he is looking to change things up. Greg wants to possibly change the wheels up, add the full line of Rocket Bunny front and rear diffusers, splitters and canards. Also a possible color change from a wrap. Whatever he decides to do he’s going to have to put it on the backburner. Why? Greg recently picked up a AP1 Honda S2000. He’s pretty deep into the build already, but the main reason he picked the car up is to go racing. Not only that we are glad to announce he will officially be our very first Time Attack/Road Race driver. I can tell you that the build isn’t really going exactly as planned but hey, I guess some people have their good days and bad days right? We wish we can show you more but we will showcase the unveiling of the build in the near future. Until then stay tuned. Thank you to Greg for his time for the shoot, as well as Alessio Caruso for driving near 2 hours to come out and shoot. Great work buddy. Thank you for reading. 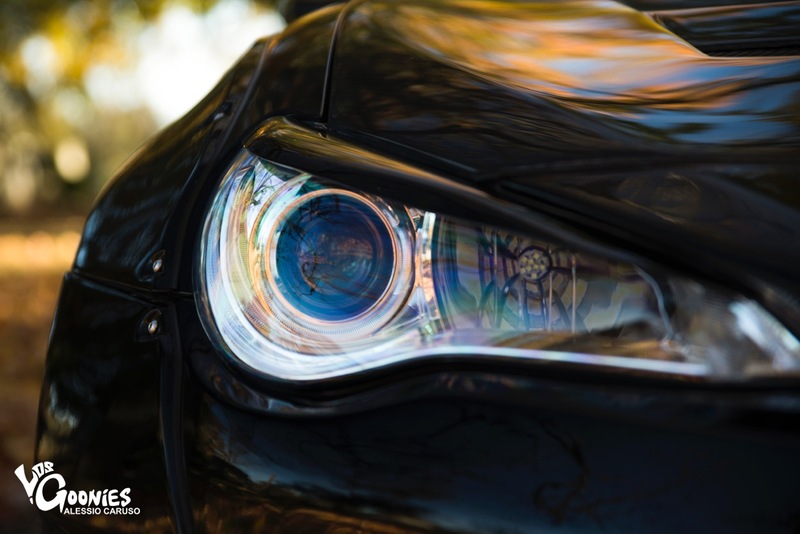 Hey Guys, Great photos and amazing car! Am I OK to use one of these images on my website?